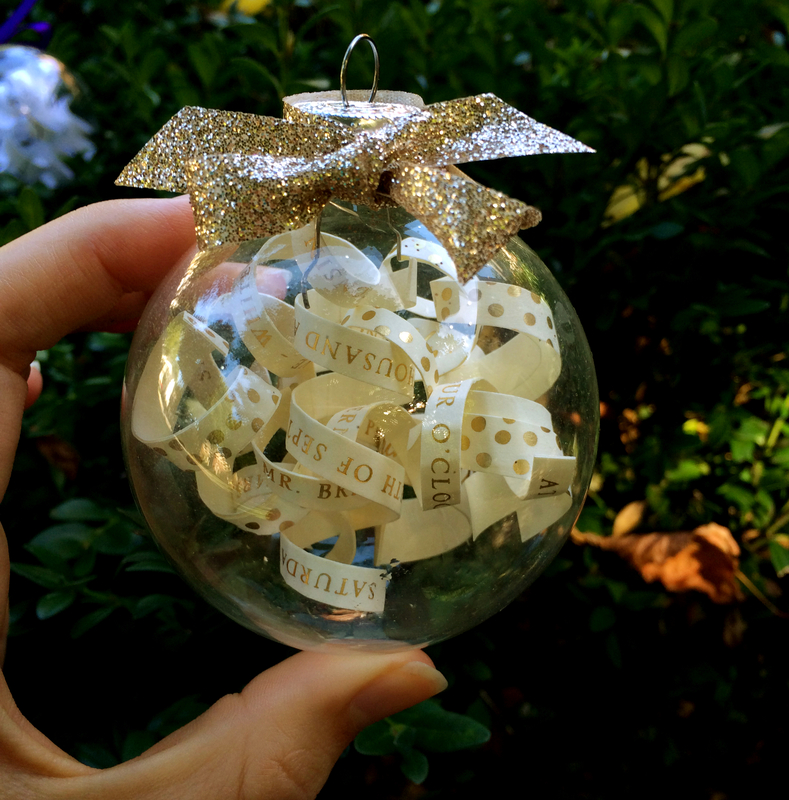 I am crazy about these ornaments! I started making them this year for my just-married friends and they’ve been a big hit! I think it’s such a special way to re-purpose a beautiful wedding invitation so that it gets brought out for decoration every year around the holidays. These ornaments are actually pretty easy to do. 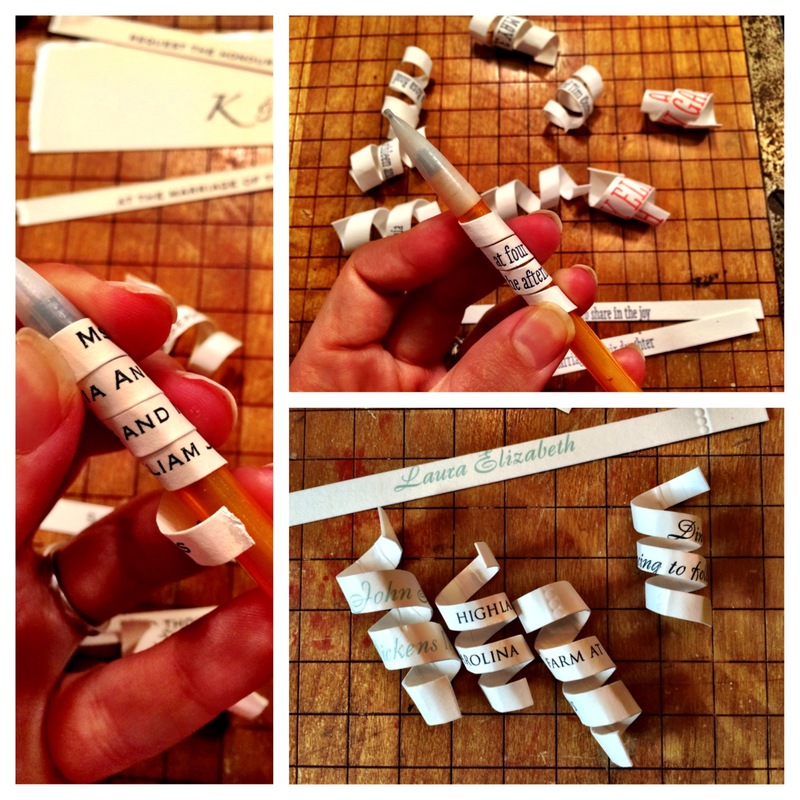 Start by cutting the invitation into thins strips, trying to capture the wording as best you can. 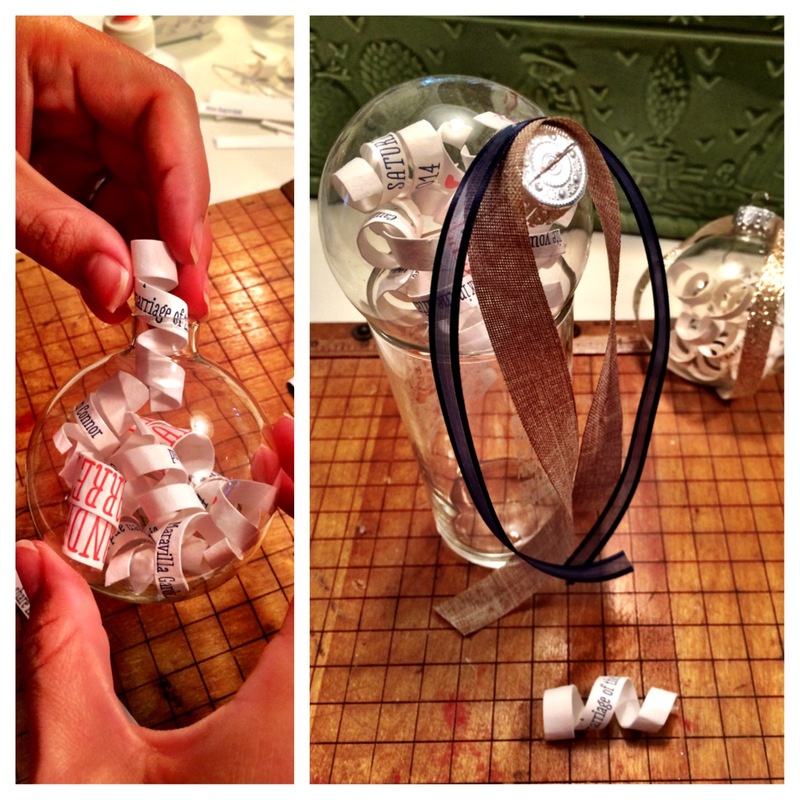 The thinner strips will curl better, so sometimes larger names on an invitation can be hard. 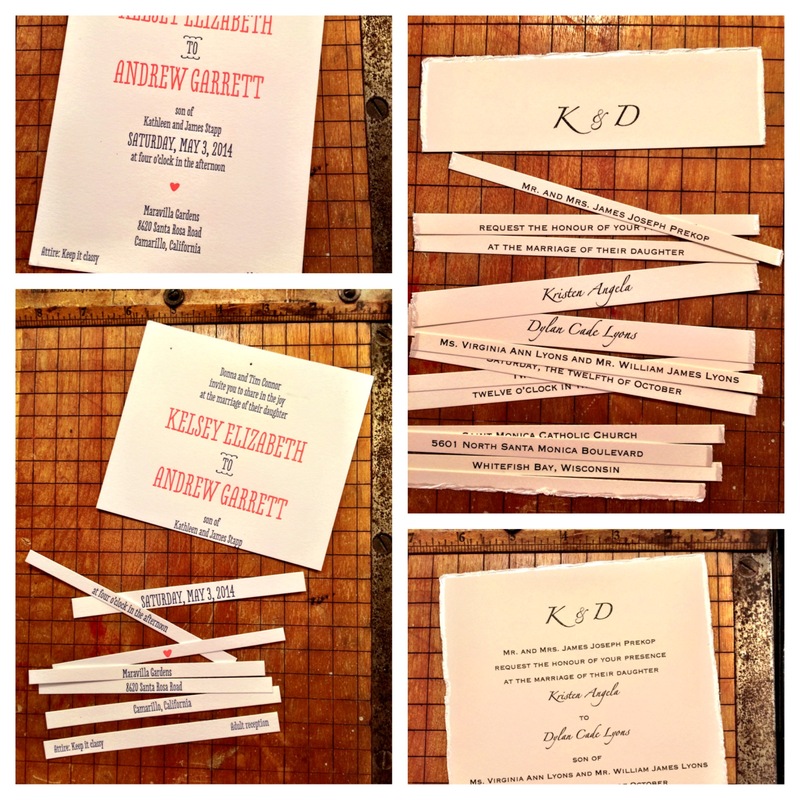 This is where you can get creative by cutting strips out of any paper from the wedding such as the ceremony program, a shower invite, save the date card, envelope lining, or whatever else would look pretty! Then, wrap each of the strips very tightly around a pen or pencil and hold for a few seconds. Once it slides off the pen, the paper should maintain its curl. Depending on the cardstock, some invitations will hold the curl better than others. 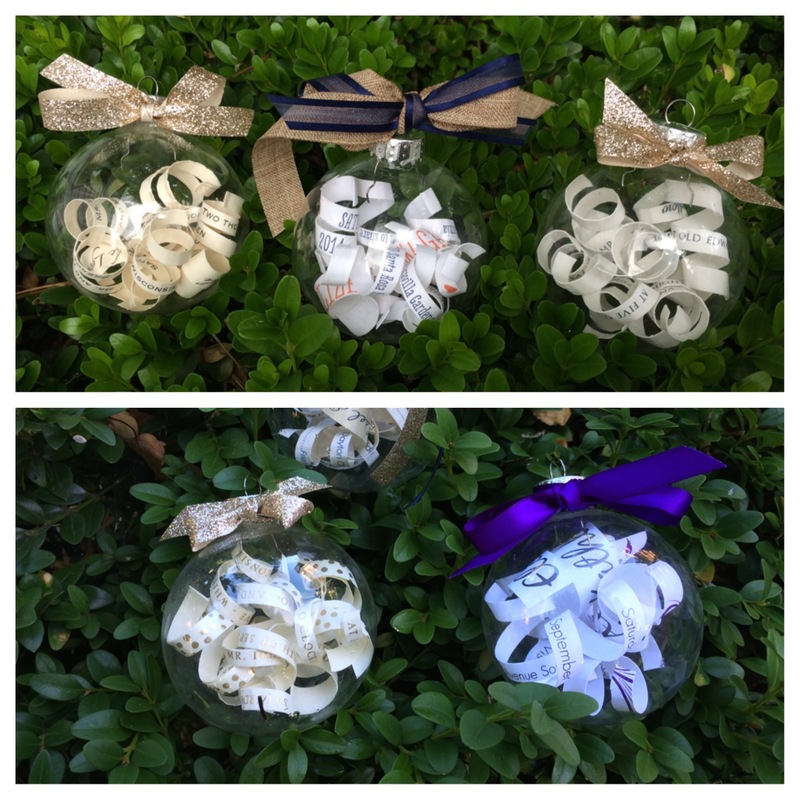 Slide all of the curls into the top of the ornament (I ordered from amazon), making sure to first include the strips with the most important wording like the couple’s names, location, date, etc. When the ball is full, put the top back on and tie a ribbon around it. 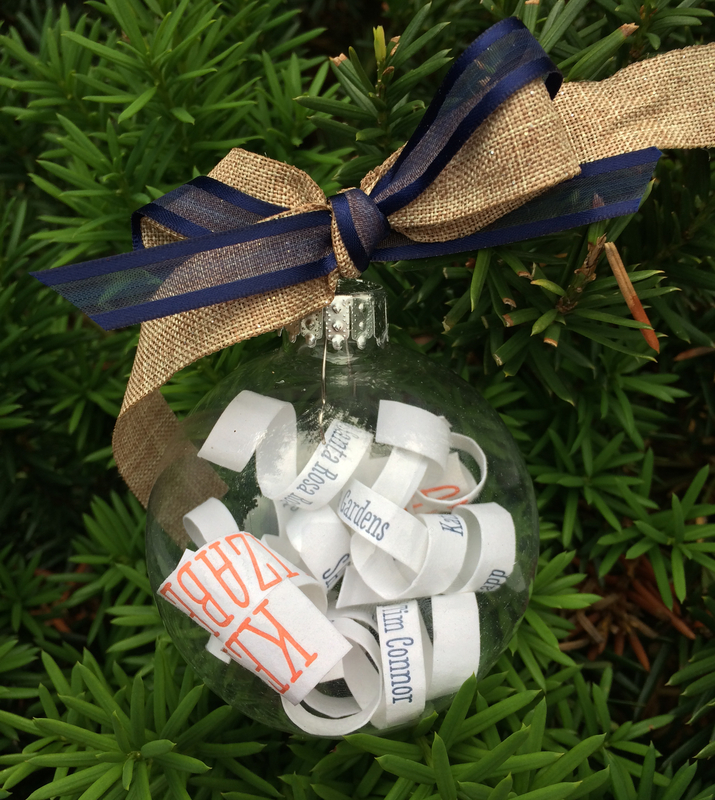 To make it a little easier to keep the ribbon in place, you can use a drop of glue and let it dry before you tie the knot.You may want to wait until after the wedding to make the ornament so that you can match the ribbon to the colors of their day. And it’s as simple as that! Have you saved anyone’s wedding invites from this year? Or possibly your own?? I think this makes a great Christmas or anniversary gift! I can’t wait to do it with our own wedding invite and make separate ornaments with the invites from the beautiful showers our friends threw for us!